The Porch - All Things Pearl Jam: Top 50 Pearl Jam Songs? Top 50 Pearl Jam Songs? Check out a great article by @stanipcus. Very well done with pics and editorial for each song. Do you agree with their line up? Think they missed any? "For twenty plus years, Eddie Vedder’s quivering baritone has been the voice of a generation. Whether he’s singing about social or political issues, love, or death, Eddie Vedder and his band of brothers have provided the soundtrack to our lives. They have inspired us, given us hope, made us think, and grown older with us, and while other bands have come and gone, Pearl Jam has always managed to hold on to their spot. This September, Pearl Jam will headline the first ever Made In America festival in Philadelphia, along with its curator, Jay-Z. It’s a long way from the Seattle grunge scene they started in, and a testament to how widespread their reach has become. In a lot of ways, Pearl Jam is a lot like Jay-Z. They came from a small scene and ended up representing a whole genre. As that genre evolved, so did they. 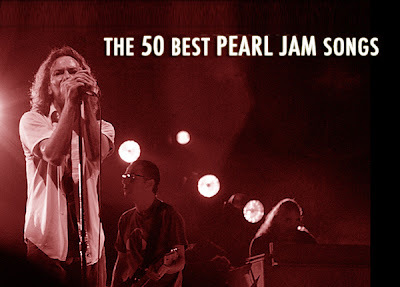 To gear up for Made In America and celebrate Pearl Jam’s catalog, we’ve compiled a collection of their 50 Best Songs. It’s a list we’ve been building since before they were announced as headliners with Hova, and a daunting task we have not taken lightly. Nevertheless, we’ve enjoyed every moment of putting this together, and are happy to present it to you as the summer starts." - Click Here for their full article.